The Animated Woman: Get Your Daily MOJO with the Pickle Weasel CALENDAR. Get Your Daily MOJO with the Pickle Weasel CALENDAR. Got a friend who's down in the dumps? Someone who needs a little extra lift in their life? Mid-life crisis got yer mojo? 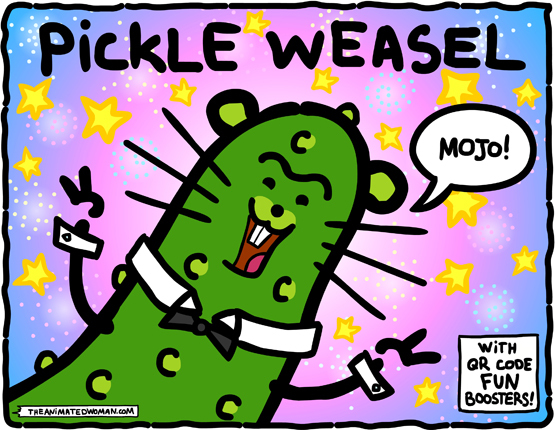 The Pickle Weasel Calendar is a farking celebration of mojo! This is an excellent choice for a Christmas gift for anybody. *Notice how I totally blame him? And this is just a small slice of the drawing. Don't know how QR codes work? Click here for my tutorial. See? I thought of everything! Irresistible, right? You're welcome. Note: Buy it HERE. I'll make $5.07 on every medium sized calendar. 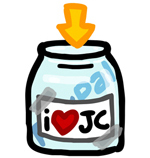 It's not a lot, but it'll help pay for the toilet paper around here. 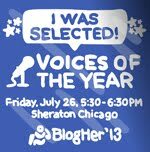 Support your local bloggy cartoonist! If you love Pickle Weasel, lemme hear ya say "MOJO!" Love the Pickle Weasel. I'm still wondering if you could make plush versions. QR Code fun boosters, oh my!! 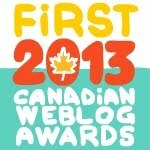 Look at you all fancy pants! Anything that pays for toilet paper is good ... God knows we kill trees at a rapid rate over here! I wish I had a phone that could work with the QR codes, I'd get one. TechyDad - If Pickle Weasel is destined for greater fame and fortune, a plush version there will be. Maybe he'll/she'll be right up there with, I dunno, Spongebob. Lady E - You can never have "too much fun". Oh wait. Yes....yes, you can. Ha. Raving Rendal - QR codes (or whatever it eventually morphs into) will prolly eventually be apped into every device on the market. Cuz the Man wants to sell you stuff any way he can. We were looking for a 2012 Calendar... Can't think of a better choice than this!! WAHOOOOOO!! !